We live in a world defined by less. Less time. Less budget. Less people. And yet, there is more data, more threat, and more on the line. You need to re-imagine and re-engineer your business model. One that is not only cloud-ready, but cloud enhanced; one that gives outcome-based engagement options and one that is aligned to your customers’ digital journey. Network, data centers, software and the cloud – all need to mesh together in a larger strategy. Sify Technologies, India’s most comprehensive ICT solutions provider with global service capabilities is proud to be associated as a Silver Partner at Gartner Symposium ITxpo Goa, 2018. 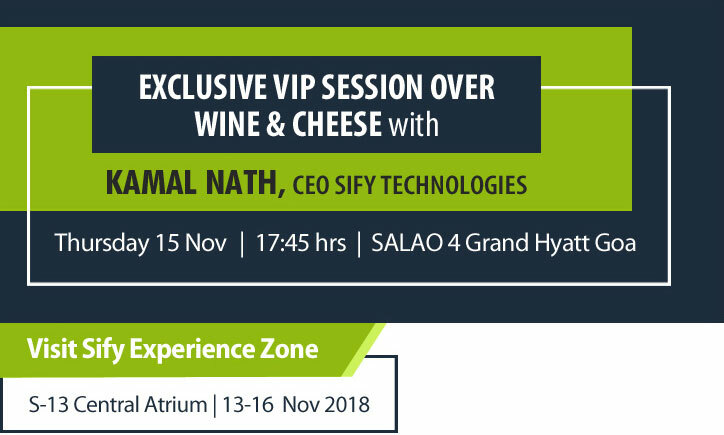 Gartner ITxpo 2018 come witness the new avatar of Sify Technologies with Kamal Nath and his entourage of solution experts share real-world advice to make it all work.